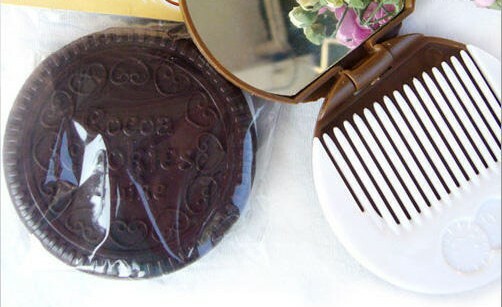 Chocolate Cookie Mirror is a pocket sized mirror and comb set, made for all those bad hair days. It also looks and feels like an Oreo cookie (without worrying too much about the waistline). 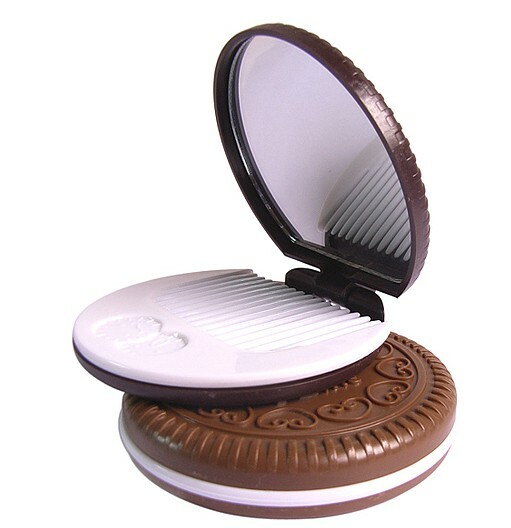 The handy comb inside is practical and also completes the white creamy look for the cookie. Perfect in every way!